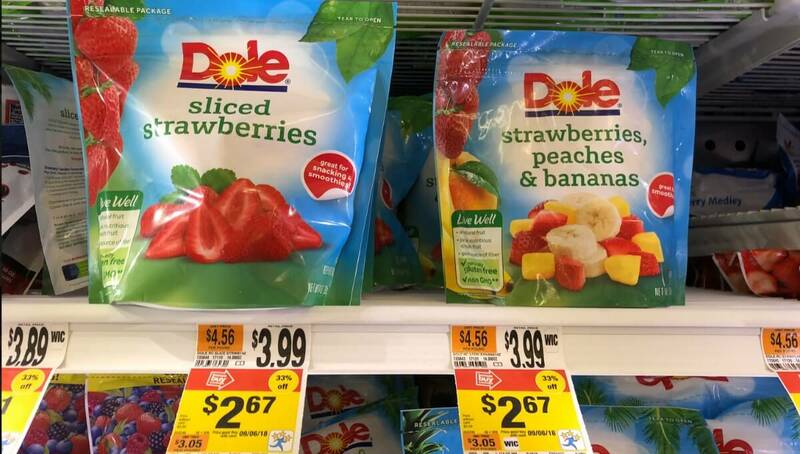 Dole Frozen Fruit only $1.67 at Stop & Shop and Giant! 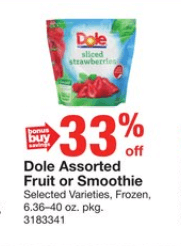 Through 9/06, Stop & Shop and Giant has Dole Assorted Frozen Fruit and Smoothies on sale for 33% off. Included in the deal is Dole Sliced Strawberries, and Strawberries, Peaches, & Bananas priced at just $2.67 per bag! 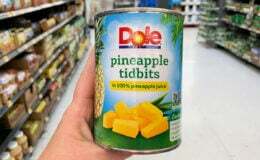 We have that great $1/1 Dole Frozen Product, printable coupon available. 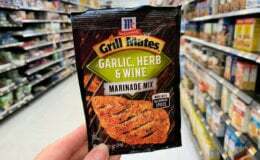 After coupon pay just $1.67 per bag! Nice Deal! 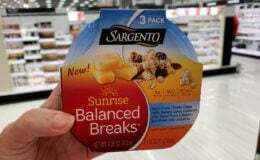 *Note shelf pricing can be regional – always price check before checking out! 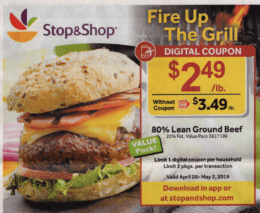 Sorry Giant/Martin shoppers this deal isn’t listed in your ad.